For the sixth consecutive year, singers from around the world will compete online for a coveted spot in the Sarah Vaughan International Jazz Vocal Competition, a 21st century version of the amateur night at the Apollo Theater that helped launch the career of a gifted teenager from Newark, Sarah "Sassy" Vaughan, more than 70 years ago. This year, there's a slight change in tempo: for the first time, the competition at the New Jersey Performing Arts Center (NJPAC) has been opened to male singers as well as female.The deadline to enter this year's competition is Tuesday, September 5 at 5pm. Think you have what it takes? The judges are looking for vocal quality, musicality, technique, performance, individuality, artistic interpretation ... and the ability to swing. The grand prize winner of the coveted SASSY Award will receive a $5,000 cash prize and a recording deal with Concord Music Group. Don't delay! Vocalists can submit an application online at sarahvaughancompetition.com. The public has the opportunity to vote for their favorites by visiting the website. Five finalists, who will be announced on October 5, will perform at NJPAC on November 12 before a panel of judges that will include legendary vocalists Ann Hampton Callaway, Vanessa Rubin and Will Downing, and composer and percussionist T.S. Monk, along with WBGO's Gary Walker. "We've spent the last five years identifying a host of brilliant new vocalists," said John Schreiber, President and CEO of NJPAC, which presents the contest as part of the TD James Moody Jazz Festival (November 4-12) -- an annual autumn celebration that fills both the Arts Center and venues throughout Newark with swing. "But for every Sarah, Ella and Billie, there was also a Joe Williams, a Jimmy Rushing and a Billy Eckstine," says Schreiber. "So why not double down on our mission of seeking out the best new voices in jazz by opening the competition to everyone?" "The Sassy Awards - which have helped discover some of the finest young female vocalists in the world - will now, thankfully, open the competition to that all too rare species, young male jazz vocalists. Opening the competition to male vocalists will make this event more exciting than ever!" said Grammy-winning bassist and composer Christian McBride, NJPAC's Jazz Advisor and a competition judge from 2014 through 2016. The contest, presented by NJPAC and WBGO Jazz 88.3FM, provides a platform for one outstanding jazz singer to gain widespread recognition in the music industry. Over its first five years, the competition has become a platform for a single outstanding jazz singer to gain widespread recognition in the music industry. Past winners include Cyrille Aimée, Jazzmeia Horn (winner of the 2015 Thelonious Monk Competition), Ashleigh Smith and Arianna Neikrug, as well as last year's champion, London's Deelee Dubé. 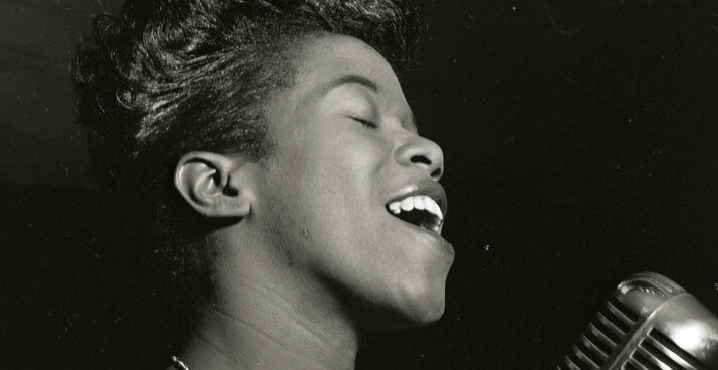 The only vocal competition of its kind in the world, the Sarah Vaughan International Jazz Vocal Competition culminates in a rousing performance on the final day of the TD James Moody Jazz Festival (November 4-12), a yearly celebration of jazz at NJPAC. The 2017 Sarah Vaughan International Jazz Vocal Competition finals will take place on Sunday, November 12 at 3pm in NJPAC's intimate Victoria Theater. For tickets, call 1.888.GO.NJPAC (1.888.466.5722) or visit njpac.org.